This show has already broadcast — See Video Archive Below. Turn off Radio Before Playing this Video and Turn your sound all the way up! No Lies Radio News video-casted this event live. A talk by Dr. Kevin Barrett, one of America’s best-known critics of the “War on Terror”. 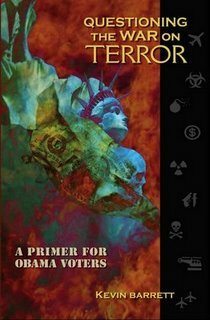 “The election of Barack Hussein Obama tacked a giant flashing neon question mark onto the Bush Administration’s much-ballyhooed but never clearly defined ‘War on Terror.’ Surveys showed that McCain voters, like Bush voters before them, were heavily motivated by fear of terrorists. Obama voters, on the other hand, were more worried about the economy. “By voting for a dark-skinned guy with a Muslim father, a middle name Hussein and a last name that sounds like Osama, Americans were saying they didn’t buy the Fox News propaganda demonizing Arabs, Muslims, and other vaguely dark-skinned people with funny names. “The rejection of the Republicans was also a rejection of torture. Obama campaigned for ending torture and closing Guantanamo, and the voters responded enthusiastically. Using the Socratic method, Questioning the War on Terror asks fifty-four hard questions that, taken together, effectively annihilate the central notion on which our post-9/11 political life has been based. It concludes with a list of twenty-two concrete actions that readers can take to end the War on Terror and achieve the change they voted for. THIS SHOW HAS ALREADY BROADCAST — You can click on some of the raw archives above. A better quality archive will be posted here later in the week. Peace Jihad: Islam and the Quest for a World Without War. Here are some of the questions he is apt to deal with: Is Islam a religion of peace? Does Islam have a just war doctrine? What is the relationship, if any, between Islam and terrorism? What is the Islamic vision of a just and peaceful society? Why do most Muslims think the “war on terror” is a disguised war on Islam? Is there a scriptural basis for an Islamic peace movement? What role does the Israeli-Palestine conflict play in the wars and unrest between and among Islamic and Western nations? 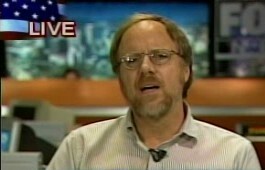 Dr. Kevin Barrett is a radio host on two networks, including No Lies Radio, he is the author of Questioning the War on Terror: a Primer for Obama Voters, and an Islamologist. So WHAT is an Islamologist?… A good guess would be “an expert on Islam.” A former Fulbright Scholar and polymath (look it up!) who has taught English, French, Arabic, American Civilization, Humanities, African Literature and Folklore, fluent in numerous languages, Barrett lived in Morocco and converted to Islam. Today he is speaking at the ‘Peace Pyramid’ open forum in Sacramento, California. This entry was posted on Tuesday, April 6th, 2010 at 11:36 am	and is filed under 9/11, Kevin Barrett, News, No Lies News. You can follow any responses to this entry through the RSS 2.0 feed.